"Spot It" is one of our favorite children's games. There are several different versions of spot it, but we prefer the letters, shapes, and numbers version to play with our kids. There are several ways to play, but no matter how you do it it's all about matching. We think it's fun because it's very fast paced. There are 31 cards, and every card has one number or shape that matches another number or shape on another card. They are also color specific. We put all the cards in the middle, and everyone gets one card. Then, if you find what matches on your card with the cards in the middle, you add that middle card to your own pile. You keep on playing until all the cards in the middle are gone, and whoever got the most wins. 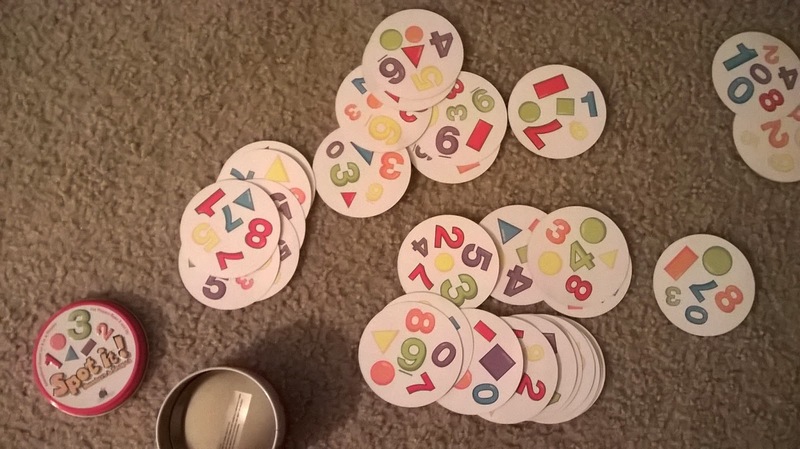 This game is really easy to play in Chinese, and it's great for teaching colors, shapes, and numbers! Just make your kids say the match they found outloud in Chinese, and before you know it they will have mastered colors, numbers, and shapes. What other games do you like to play in Chinese? You don't need to view Full Report about gaming websites if you want to play games. Because it is simple to visit cool math games website. However, Pbs Kids Games for Kids are based on cartoon characters. Cool math run 2 is also new and good game. 2048 game is a tile puzzle game. Bad Ice Cream 3 is a simple and good website. One more site friv.com depends on games and a considerable measure of different destinations has numerous different games. Be that as it may, Learning Games for Kids or Learning games for children are additionally accessible free on ther web. friv.com has numerous internet games however not certain these games aer safe or not.